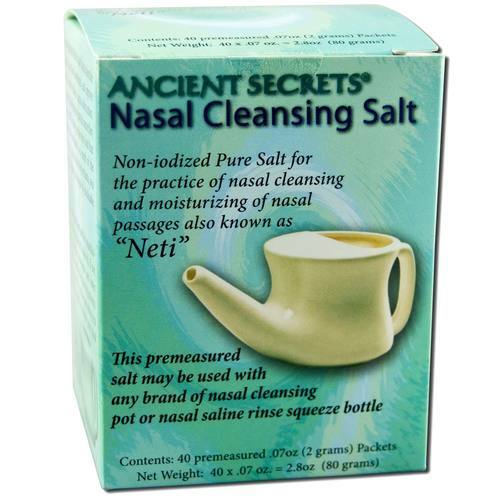 Ancient Secrets Nasal Cleansing Salt Packets comes in pre-measured packed. Each packed contains 2 grams of non-iodized pure salt. Ingredients: Sodium Chloride (USP Grade). Recomendações de uso: For detailed instructions read packaging completely and carefully before use.